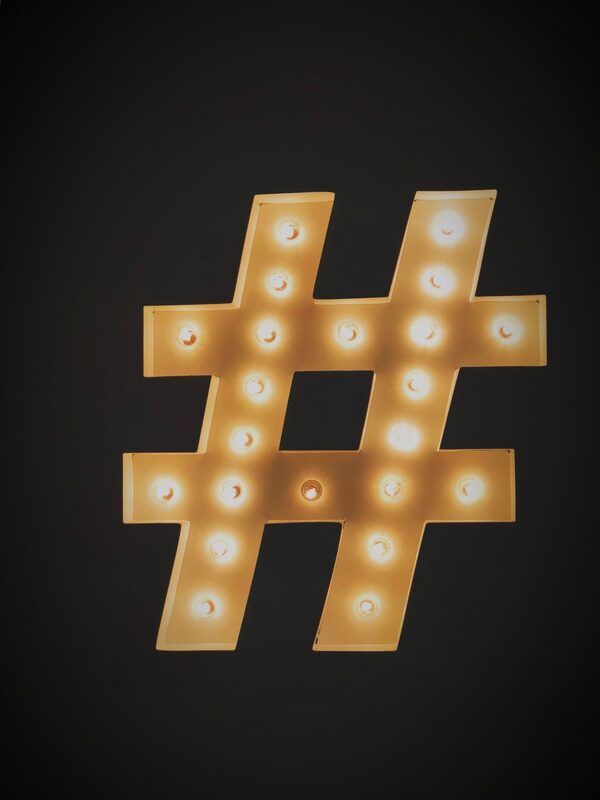 How can hashtags help to boost business success? Hashtags are a familiar sight, with most of us now using social media daily. However, many businesses still aren’t utilising them to the best of their ability. Whilst they may seem like a fun way of sharing what you’re up to with friends and family, they are in fact powerful tools. Twitter states that tweets containing hashtags are twice as likely to be seen. Functioning much like keywords/phrases on websites or SERP’s they can gain traction for your company. Therefore, it is worthwhile aligning yourself to ones which will boost your business and help you to develop a recognisable brand. With so many of us now using social media, there is a hashtag for everything, whether it is #NationalDoughnutDay or #Brexit – hashtags offer an opportunity for everyone to boost their business and start trending conversations around topics of interest. Even if you are time poor or lack the creativity to generate your own hashtags, you don’t have to worry. Today all social platforms make finding popular hashtags easy, as most offer a list of the days trending hashtags so that you can see which ones you can use to optimise your business’ presence. So, even if you aren’t a doughnut company, your company could produce reactive marketing material around #NationalDoughnutDay. For example: You may buy your whole team doughnuts, why not take a photograph of yourselves enjoying them and post against #NationalDoughnutDay? In jumping on hashtags such as these, it also offers a sense of transparency to your business, showing humanity and your business personality. The wider you reach the more likely you will be seen by your target market. Using hashtags makes your company relatable. However, it is important to make sure that your company is staying on brand allowing clients and prospects to create a solid concept of what your business offers and values. If you are an energy company, for example, the hashtags you’re regularly using should help you to portray a message relevant to those that you want to reach. As a suggestion, in using the hashtag, #RenewableEnergy, you will be linked to like-minded businesses, leading authorities in your industry and potential clients, or simply people with an interest in the topic. As a note of caution, it is vital to not use hashtags that could be misconstrued, if you’re an energy company that doesn’t work with renewable energy steer clear. Hashtags that don’t align with your brand message will demonstrate lack of transparency causing your audience to retreat and ultimately damage your company image. Hashtags are like the dividers in a filing cabinet, when you use a certain hashtag you are telling the social media platform what you’re posting and what category you’d like your post to sit. Hashtags are typically associated with Instagram and Twitter, but Facebook and LinkedIn are now trialling the use of hashtags. Why not jump on the #trend here too? Especially with LinkedIn, a platform developed for growing businesses, where content shows up in Google searches meaning that using hashtags can greatly benefit your business by putting it in front of a larger audience. Ultimately it is up to you how and when you choose to utilise hashtags on your social media platforms. Whether it’s just to garner support from likeminded businesses, create your own unique brand hashtags, show your interest in current affairs or to start discussions within your industry – promoting yourself or your business as an authority figure within your subject, we encourage you to optimise this simple marketing tool which can make a big difference to expanding the conversations surrounding your business.